Successfully Added IP Security Camera - 720p, Motion Detection, App Control, 1/4 Inch CMOS, 55-Degree Viewing Angle, Indoor Use to your Shopping Cart. Keep track of all that’s happening inside your home with this HD IP camera. 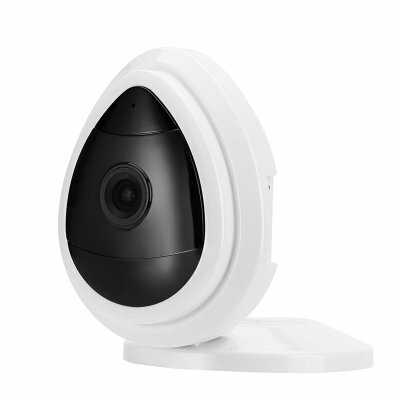 Equipped with a 1/4-Inch CMOS sensor, this IP security camera is capable of producing crisp 720p recordings that support high detail. Perfect for keeping an eye on your kids, nanny, or to be used as an indoor security camera – this wireless IP camera is guaranteed to increase your in-home security significantly. Allowing you to use it with and without wire, it brings along great efficiency and can be conveniently placed in any room of your household. Supporting a 55-degree viewing angle, this HD IP camera is able to capture all that’s happening in your room – not leaving any corners unmonitored. A built-in microphone records high-quality sound, further increasing its overall security features. Coming with its own mobile application, this security camera can be accessed remotely through both iOS and Android phones – allowing you to keep an eye on your sleeping children or on your house in general without needing to be present at the actual location. With its motion detection feature, this IP security camera is capable of focusing on a certain area of your room whenever motion is detected. Additionally, it allows the camera to start filming automatically anytime it detects movement – ensuring that nobody will ever be able to enter your property unseen. With its compact and plug and play design, this WiFi camera is easy to install and can be placed virtually anywhere – making it the perfect security gadget to increase the protection of your house or office. This IP security camera comes with a 12 months warranty, brought to you by the leader in electronic devices as well as wholesale electronic gadgets..